Tucked Away across from Forever Green Space!!! Across from Forever Green space in great Tarrycrest neighborhood. 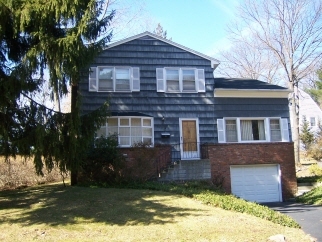 This house has an excellent layout, large rooms & hardwood floors. Close to nearby swim club, nature trails & Tarrytown Lakes. Home Warranty included. Entry Hall, Living room with Fireplace, Formal Dining Room, Large Family Room, Eat in Kitchen, Powder Room. Laundry, Master Bedroom with Master Bath, Three more Bedrooms, Hall Bath.